Reach your customers in real-time through your emails, social media posts and search engine placement. Today’s new technologies level the playing field for the independent business owner. You don’t need any special tools. Facebook, Instagram and Twitter accounts are free (unlike TV Commercials and Billboards!). You don’t even need to know how to use them; just have us put them to work for your business and benefit from your customers virally spreading the word about your company for you. For free. Social Media is really just like “word of mouth”. Email promotions and newsletters are the single-most cost effective method to reach your clients. Mailings cost just pennies per recipient. Pay monthly for unlimited mailings, or per mailing to send on occasion with no monthly fees. Bring your website to the first page of Google, immediately. Google Adwords Campaigns can be a very powerful, affordable, and flexible part of your online presence. Your ad will display at the top of search results pages and/or down the right side of the page. Gain positioning by linking your ads to the exact content your visitor searched for. Encourage customers to make contact (and become a lead!) immediately by adding a click-to-call button to your ad. Only pay for results, when someone clicks the link to call you or visit your site. Ads can be turned on and off as needed to keep leads rolling in when needed most. Concrete data on the success of your ad campaign is available to you 24/7 in an easy to read “plain english” report. Social media allows you to communicate with your customers when and where they are, online. You don’t even need to know how to use the accounts to put them to work for your business. We can automate everything for you, and can even have your new property listings, products and/or blog posts automatically post to Facebook for you. 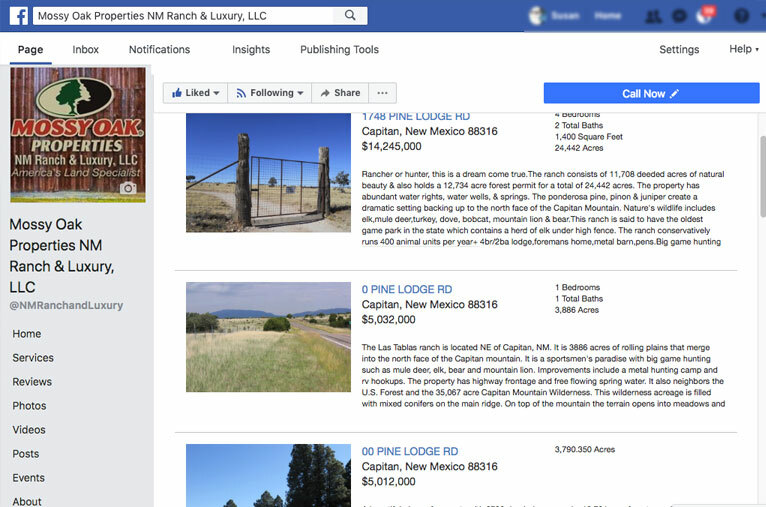 Your social customers can even browse your property listings and shop for your products while on your facebook page, and you don’t have to do a thing.